For each of the security challenges that confronted the nation after September 11, there were sensibly balanced solutions—moderate laws and technologies that could have increased security without threatening liberty or privacy. But, as everyone now knows, George W. Bush opted for a very different vision. His government asserted the right to detain suspected enemy combatants indefinitely without review by independent courts and then, without congressional approval, created military tribunals that lacked the most basic procedural protections. The administration claimed the authority to violate the Geneva Conventions and torture suspected terrorists, detain them in secret prisons, or turn them over to governments that subjected them to illegal methods of interrogation. After the Supreme Court rejected Bush’s most extreme unilateralist claims, Congress promptly endorsed many aspects of the legal regime he created, leaving the mess for his successor to clean up. President Obama promised to do exactly that. “We will close Guantánamo, we will restore habeas corpus, we will have a president who will respect and obey the Constitution,” he vowed in 2008 on the campaign trail. In fact, he was so passionate on the subject that I swooningly predicted he would be our first civil libertarian president. Three years later, however, much of the Bush-era legal regime remains intact. For those who care about civil liberties, it’s impossible not to be disappointed. Obama did try to reverse the worst aspects of his predecessor’s policies. Two days after his inauguration, he signed executive orders directing the CIA to close its secret prisons and to end the use of torture. He also ordered Guantánamo to be closed within a year. In a May 2009 speech, he declared that some terrorist suspects would be tried in criminal courts, and, the following November, Attorney General Eric Holder announced that Khalid Shaikh Mohammed (KSM), the alleged mastermind of the 9/11 attacks, would stand trial in New York. But, when Obama encountered resistance to these plans, he folded without a fight. Mayor Michael Bloomberg objected to the cost of trying KSM in New York, and, in December 2010, Congress passed a law denying funds for the transfer of any prisoners from Guantánamo to the United States. As a result, in April, Holder announced that Mohammed would be tried at Guantánamo after all, by a reformed version of the military commission. 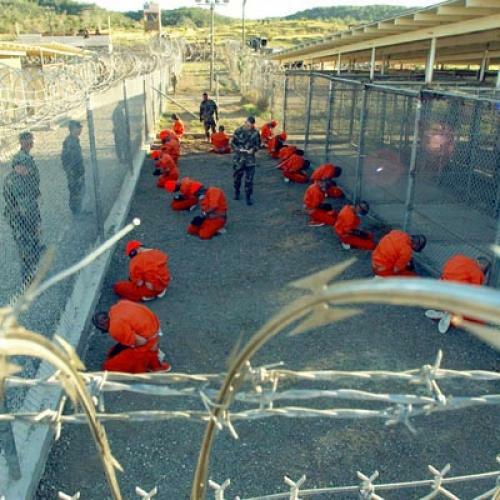 Plans to close Guantánamo appear to have stalled indefinitely. Moreover, while Obama continues to claim that he wants to shut the detention center down, his acquiescence to two of the most controversial aspects of Bush’s 9/11 policy—military commissions and indefinite detention—would make such a move largely symbolic. In other terrorism-related areas, Obama not only failed to reform Bush-era policies, he endorsed them. His lawyers have enthusiastically defended the suspension of habeas corpus for detainees at the Bagram military base in Afghanistan. His administration has made frequent and sweeping use of the state secrets doctrine, invoking it, for example, to thwart a legal challenge to the targeting of an American citizen for assassination overseas. Of course, powerful institutional pressures incline all presidents, Democratic and Republican, to defend and expand executive power. Officials within, say, the CIA or Defense Department tend to fight against policies that would expose their employees to prosecution. And there is often little political gain to be had in defending or restoring civil liberties—doing so exposes politicians to attacks that they are weak on national security. The constituency of Americans who care intensely about civil liberties—both libertarian conservatives and civil libertarian liberals—is not a large one. It takes a remarkably committed president to overcome these obstacles. Obama has instead been passive. Preferring conciliation to conflict, he has refused to insist on policies that preserve liberty as well as security. Most disappointing of all, the former law professor has failed to make clear legal arguments in support of constitutional liberties. It’s true that the worst fears of civil libertarians didn’t come to pass after 9/11. Americans’ rights and liberties weren’t transformed beyond recognition. But they were unquestionably diminished. After ten years of missed opportunities, it is clear that only presidential leadership can ensure a thoughtfully balanced legal regime for responding to terrorism. For different reasons, our last two presidents have failed to provide that leadership. Above all, the lesson of Obama’s presidency is the need to be vigilant in the aftermath of a national trauma like 9/11. We now know that even a president who considers himself a supporter of civil liberties has been unwilling to undo ill-considered expansions of executive power. In other words, it’s far easier to surrender liberty than it is to restore it. Jeffrey Rosen is legal affairs editor of The New Republic. This article originally appeared in the September 15, 2011 issue of the magazine.